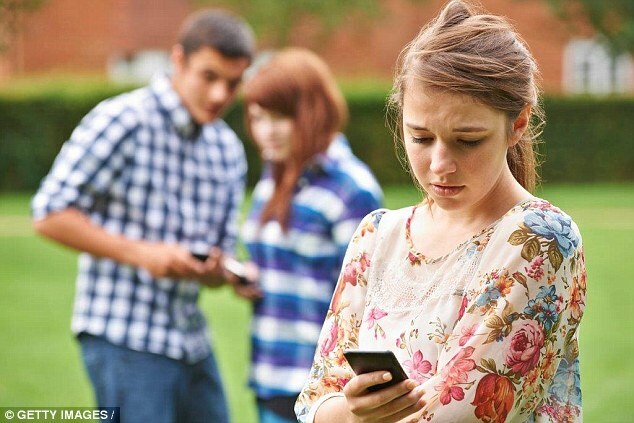 IS SOCIAL MEDIA BEHIND A SURGE IN SELF HARM? Social media could be to blame for an ‘alarming rise’ in women suffering with anxiety and depression. Experts say more than a quarter of young women, aged 16 to 24, are suffering worrying symptoms. This is more than three times the rate for men the same age. Between a fifth and a quarter of young women have also self-harmed – most commonly cutting themselves – compared to just 10 per cent of men the same age. The figures, contained in a new report published by NHS Digital, found the rate at which young women are experiencing common mental health disorder symptoms (CMD) is increasing rapidly compared to young men. In 1993, young women were twice as likely as young men to exhibit CMD symptoms, but they are now three times more likely to experience them. Symptoms include irritability, worrying, depression, anxiety, feelings of panic, compulsion and trouble sleeping. The study found that while rates of severe CMD symptoms are falling among young men, they are rising among young women (from almost 10 per cent in 1993 – to 15 per cent in 2014). The same age group are also the most likely to drink at hazardous levels compared to women in other age groups, with 26 per cent having done so, according to the report. Sally McManus, lead author of the study, from the National Centre for Social Research, said this demographic have ‘very high rates’ of anxiety and depression. She said it was known that women suffer due to violence and abuse, but added that young women in the study are the ‘first cohort to come of age in social media ubiquity’. The report, on the state of mental health across England, is based on research among 7,500 members of the public. Stephen Buckley, head of information at mental health charity Mind, said a combination of factors is likely to be behind the rise in depression, anxiety and self-harm in young people. 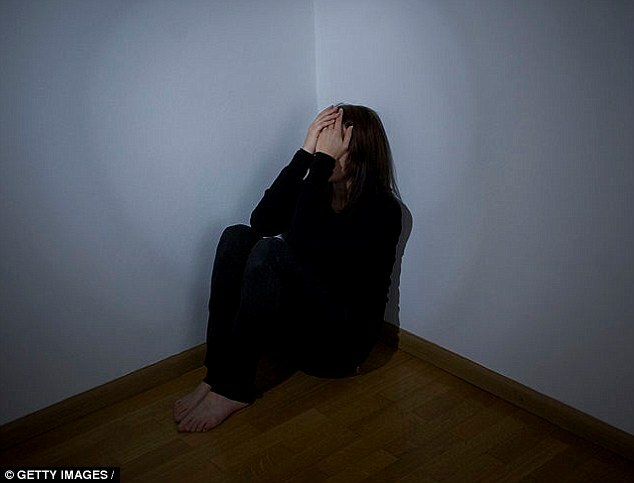 Young women, aged 16 to 24, are suffering more than ever from mental health problems. He said: ‘Young people are coming of working age in times of economic uncertainty, they’re more likely to experience issues associated with debt, unemployment and poverty, and they are up against increasing social and environmental pressures, all of which affect well-being. ‘Since the last data was released in 2009, we’ve seen a surge in the use of social media. Social media can promote good mental health; for example, online peer support networks like Elefriends. Researchers have defined stress as any major changes to the status quo (existing balance) that may potentially cause mental or emotional strain or tension. These stressful life events can include marriage, divorce, separation, marital reconciliation, personal injury or illness, dismissal from work or retirement. 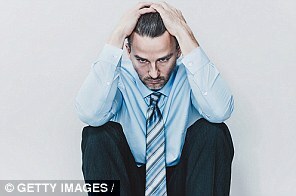 Men are more likely to have depressive episodes following work difficulties, divorce and separation. Women, on the other hand, are more sensitive to conflict, serious illness or death happening in their close social network. In fact, research suggests that most of the stressful events that cause depression among women are related to their close social network, such as romantic and marital relationships, child-rearing and parenting. Research suggests that compared to men, women tend to ruminate (the technical term for ‘overthinking’) more about stressors and have negative thoughts that cause depression. And at least one study suggests that this explains the gender difference in the prevalence of depression. Rumination can make stress worse, and unfortunately, it is more common among women. These findings suggest that psychosocial causes of depression may be at least partially gender-specific, and that these disparities are rooted in different life conditions – social inequalities – that men and women experience. And, in general, women tend to experience greater social inequality and social stress, and therefore depression, than men. The gender gap in depression is largest in countries with highest gender inequalities. Gender difference in burden of depression is highest in the countries where women and men differ more in access to resources and social equity. And that, oddly, might explain why men might be more susceptible to the depression-inducing effects of stress. Source: Shervin Assari, researcher in psychiatry at the University of Michigan. ‘It can help people feel less isolated, particularly those who struggle to make and maintain relationships or who find it difficult to leave their homes. But it also comes with some risks. ‘Its instantaneous and anonymous nature means it’s easy for people to make hasty and sometimes ill-advised comments that can negatively affect other people’s mental health. The National Study of Health and Wellbeing has been carried out every seven years since 1993. The data showed that, in 1993, 19 per cent of women aged 16 to 24 had symptoms of CMD, but this rose to 26 per cent in 2014. Young women also had high rates of screening positive for post-traumatic stress disorder in 2014 (12.6 per cent compared with 3.6 per cent of men of the same age). Overall, across all age groups in England, one adult in six has a CMD – about one woman in five and one man in eight. Women were more likely than men to report severe symptoms of CMD – 10 per cent compared with 6 per cent of men. One person in three with CMD is currently receiving treatment for their problem, up from one in four in 2007. A fifth of adults reported that they had thought of taking their own life at some point, and this was more common in women (22.4 per cent) than men (18.7 per cent). Ms McManus said women’s mental health has been in long-term decline, adding: ‘The trends for young women are worrying, with high rates of disorders and large rises in reported self-harm. ‘We don’t know for sure how much of this increase is real. It could be that self-injuries not previously counted as self-harm are now being included. Marjorie Wallace, chief executive of mental health charity Sane, said the findings painted a ‘disturbing picture’. ‘Perhaps the most shocking finding is the escalation in both the extent and severity of self-harm, particularly amongst young women,’ she said. Health Secretary Jeremy Hunt said: ‘We want to make sure that everyone, regardless of gender, age or background, gets the mental health treatment they need. ‘We have introduced the first-ever mental health waiting times and are backing the NHS’s plan to revolutionise mental health care which will see an additional £1 billion invested every year by 2020.